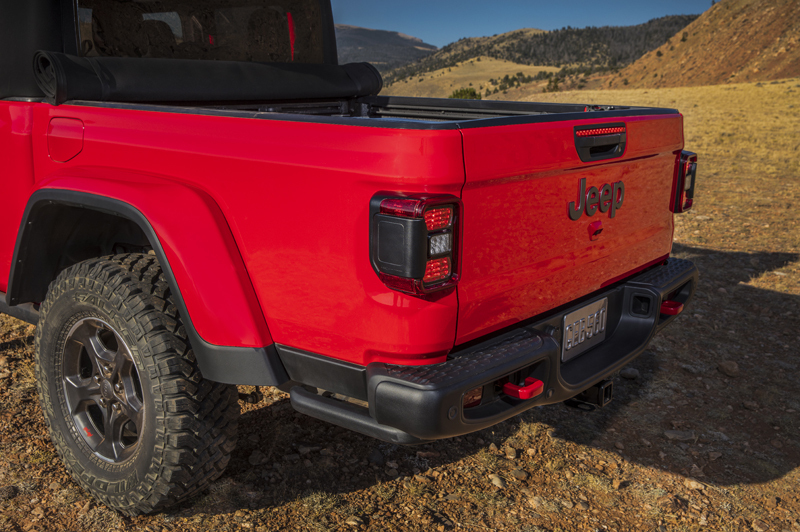 It’s taken 14 years for the Jeep Gladiator pickup, based on the Wrangler, to finally make it into production. First previewed as a concept in 2004, back then it was based on the previous-generation JK Wrangler and featured a King Cab (cab and a half). 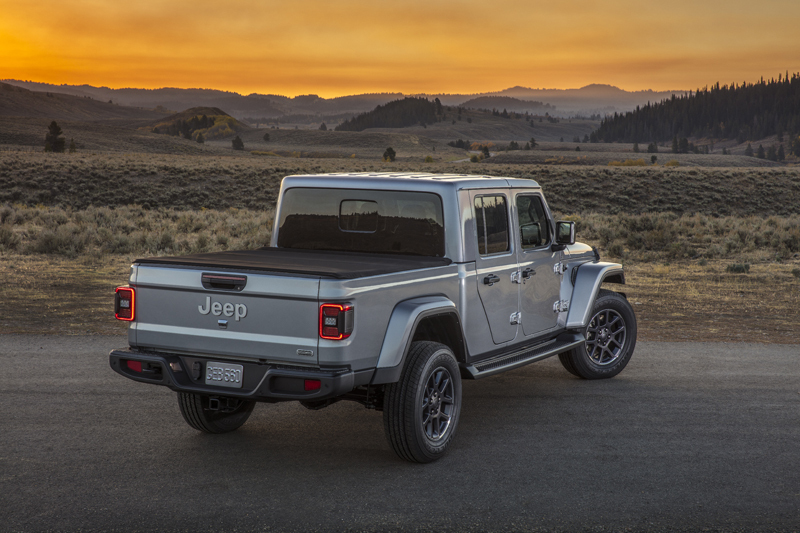 By comparison, the new Jeep Gladiator, unveiled in production form at the LA Motor Show, is absolutely massive. 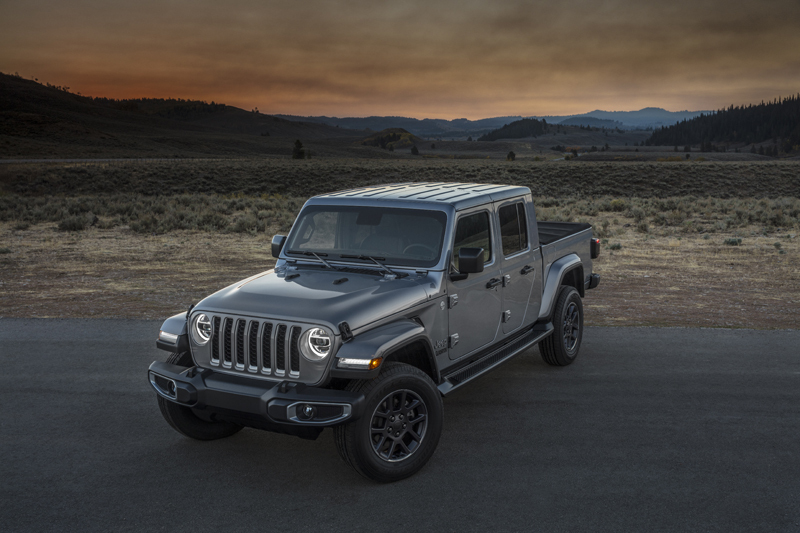 Based on the new JL Wrangler, the Gladiator is 5,539mm long – 754mm longer than the 4-door Wrangler – and with a 3,487mm wheelbase – 479mm longer. 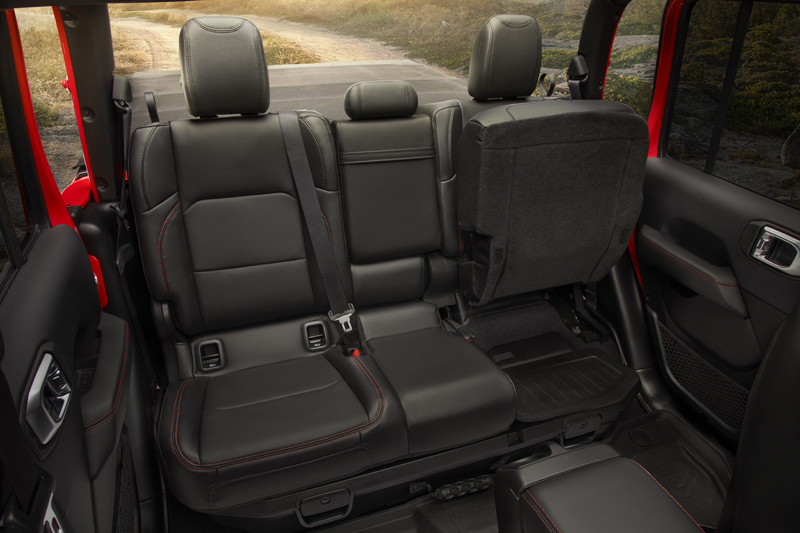 With the tailgate closed, the Gladiator’s load bed is 1,531mm long. 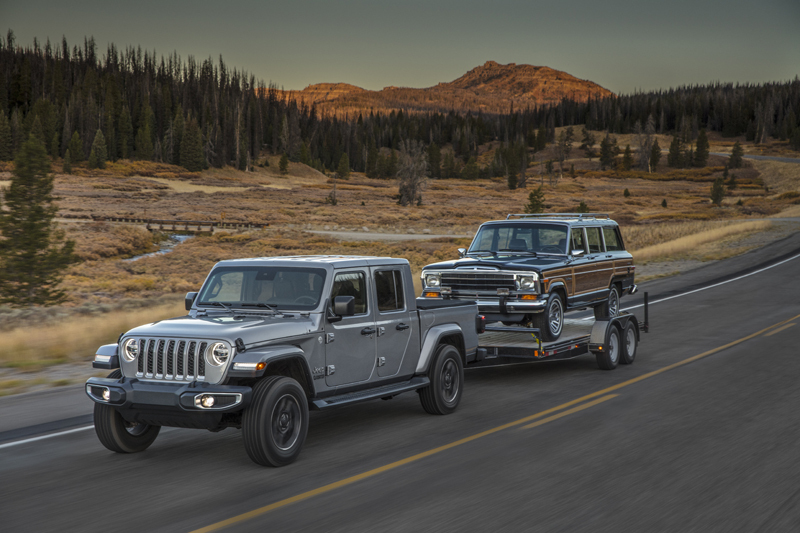 Depending on the engine and transmission, the Gladiator can carry a payload of 1,105 – 1,600 lbs and can tow between 4,000 – 7,650 lbs. 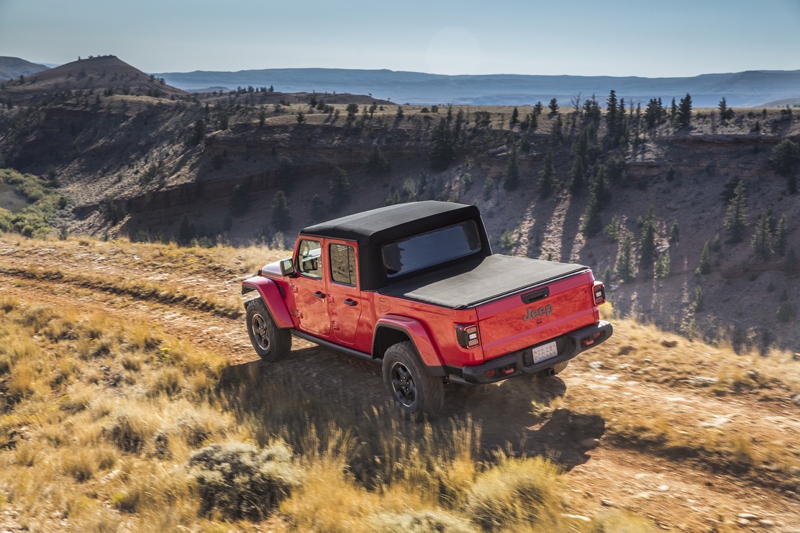 In Rubicon guise, the Gladiator boasts ground clearance of 283mm with approach, break-over and departure angles of 43.4, 20.3, and 26 degrees respectively. 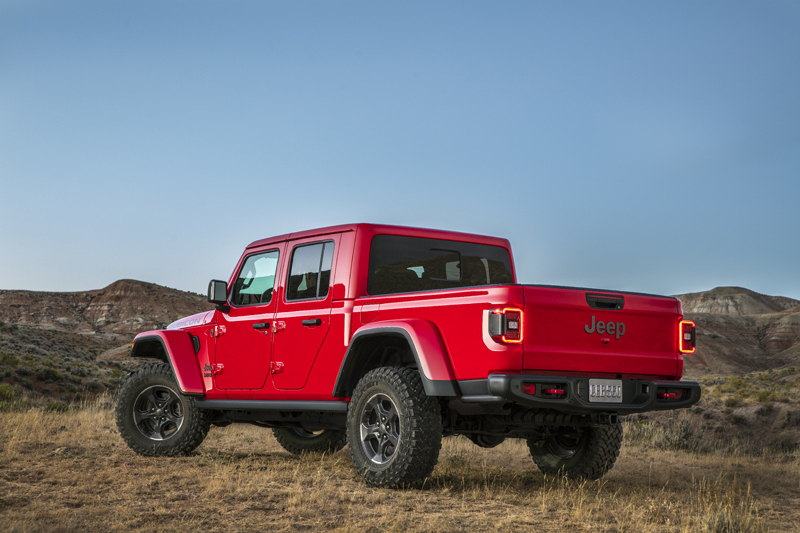 Water fording is up to 30 inches. 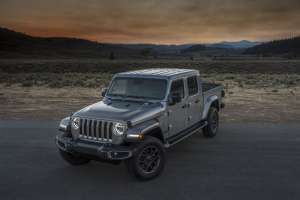 For the US market, the Gladiator will be powered by a choice of either a 285hp 3.6-litre Pentastar V6 or a 260hp 3.0-litre V6 diesel. 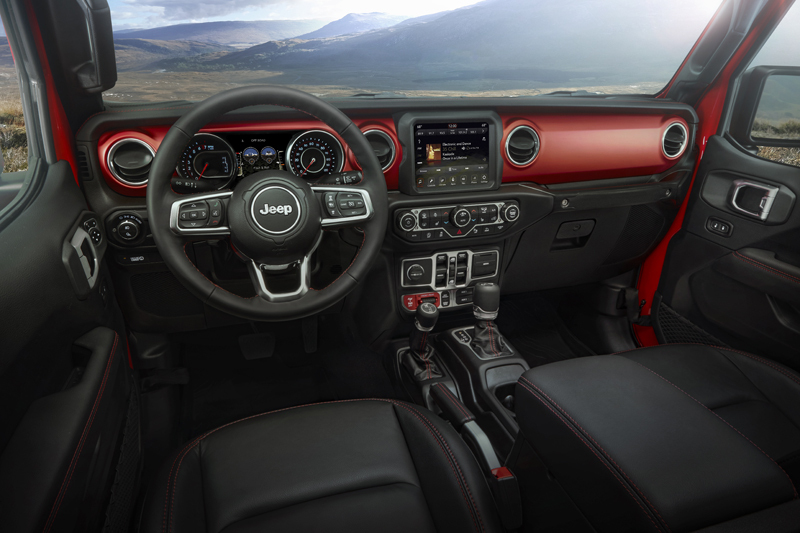 A six-speed manual transmission is standard, with an eight-speed auto as an option. 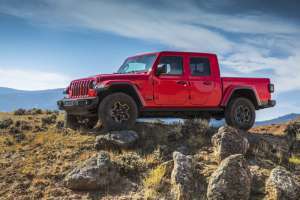 Two four-wheel-drive systems are available, starting with the part-time Command-Trac for Sport and Overland models, while the heavier-duty Rock-Trac with 4:1 low range and Tru-Lok locking differentials feature on the Rubicon. 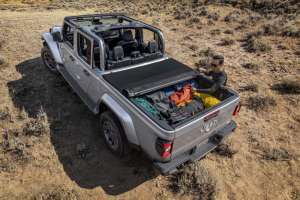 Making the Gladiator unique in the pick-up world is a choice of either a folding soft-top or a removable hard-top, lending it the title of the world’s only convertible pick-up. Rear suspension is unique to the Gladiator, with a new five-link coil configuration with forward-facing dampers and a series of skid plates and rock rails to protect vulnerable areas. The new Jeep Gladiator will be built at the company’s Toledo, Ohio facility, previously the home of the JK Wrangler. 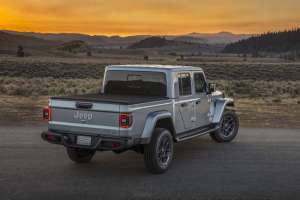 Although a European launch in 2020 has been stated, it’s not clear whether the Gladiator would come to the UK. Or, indeed, if it would even fit.